Journalist Holly Johnson thinks she's met the man of her dreams. Kind, caring and attentive, pilot Andy is perfect in every way but one - he lives in America while Holly is in Ireland. The pair met online and have been chatting for the past few months and though they've attempted to meet in person, it hasn't worked out. But, determined to meet Andy and see if he is as perfect in real life as he is on her computer screen, Holly decides to fly to New York to finally meet him. The visit is a surprise but who will be more shocked - Andy or Holly herself? 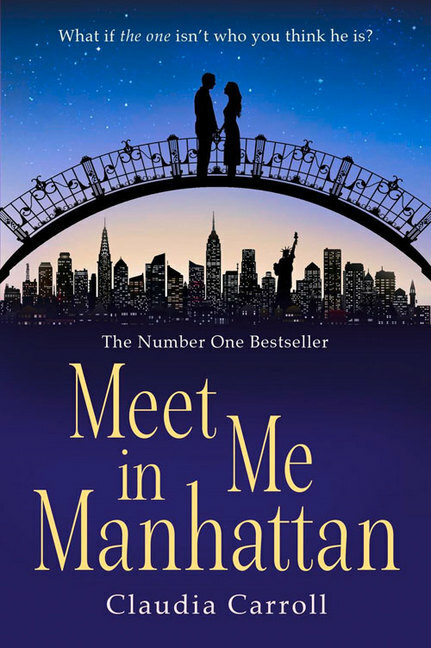 I have a confession to make: Meet Me In Manhattan is the first Claudia Carroll book I've read. But it won't be the last! I was instantly drawn into the book by Claudia's witty writing and I loved the Irish humour throughout. I did find the first part of the book a little slow as we get to know Holly and are brought up to speed with her relationship with Andy, but I was hooked once Holly hit the Big Apple. 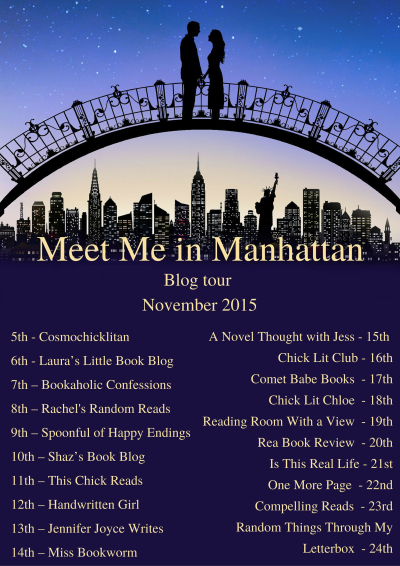 I'm instantly intrigued by any book set in New York at Christmas and ﻿Meet Me In Manhattan didn't disappoint at all. New York was really brought to life in all its magical, festive glory and I felt like I was there, experiencing the city with Holly. I really liked Holly as a main character. She's fun and little bit feisty when she needs to be. Although we don't see an awful lot of them, I also thought Holly's best friend, Joy and her boyfriend were fantastic supporting characters. And then there's the gorgeous hero of the book but I won't go too much into that as it will spoil the book for those who haven't read it yet. I sometimes watch the TV show Catfish, so I was wondering what was in store for Holly when she arrives in New York. Will she meet her dreamy pilot or will Andy turn out to be someone completely different to the persona online? And if Andy isn't who he says he is, who is he really and what is he hiding? I really enjoyed this aspect of the book and, without giving anything away, I was pleased with the outcome of the trip. I was also intrigued by Holly's aversion to Christmas and why she prefers to spend the day alone, trying her best to ignore the festivities going on around her. 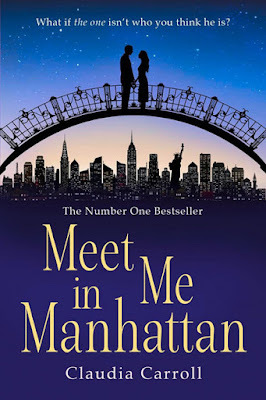 With plenty of wit and humour, I thought Meet Me In Manhattan was a fun, festive read with an enchanting New York setting.